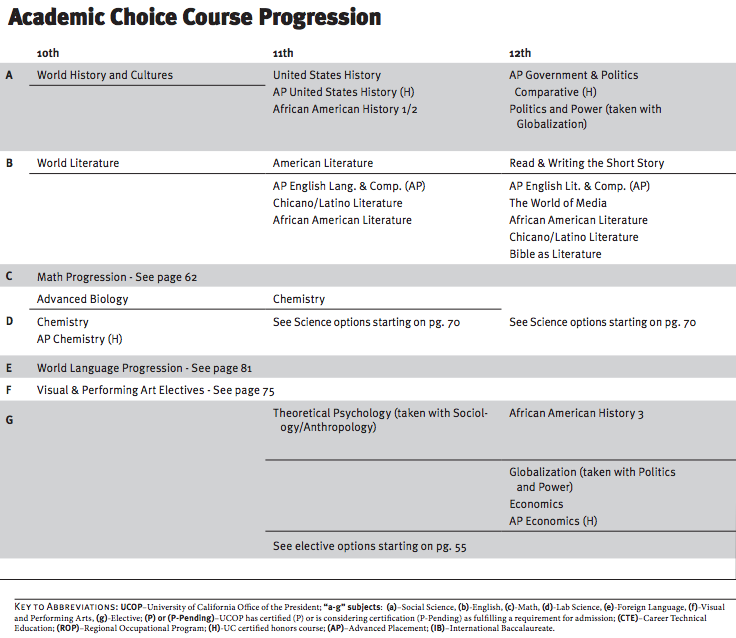 Academic Choice (AC) offers a core curriculum while allowing access to the full range of African American Studies, Visual & Performing Arts, Physical Education and World Language classes available at Berkeley High School. The typical Academic Choice humanities class follows a seminar approach that encourages intellectual curiosity, analytical thinking, and a close working relationship between student and teacher. Consistent with our objective of offering a variety of quality choices to meet the needs of a diverse community, the AC seeks to prepare students to be eligible for continued education beyond high school, and to help prepare students with a strong foundation for the university classroom. Our teaching strategies reflect rigor and an awareness of a variety of learning styles. We are committed to arming our students with the skills and drive to be life-long learners and critical thinkers.